Hey, ya’ll. I missed you. It’s been a quiet few months since I entered my writing cave. But I finally have a chance to breathe, so I thought I’d better give you an update before my life gets crazy again. Here comes the really awesome part in case you missed the announcement. It wasn’t just JUJU’S CHILD, but three books. So, I’ve had a busy summer working on the second book in the series. My amazing critique partners sent back their edits for BAD MOJO, and I spent the weekend polishing the novel. It is always amazing to see how much I missed while editing. I love that they also caught some big picture, plot holes regarding character development. Plus, my comma misplacements and lack of hyphens. Duh, Angie! As long as nothing goes terribly wrong, I’m on track to have this book ready well before my deadline of October 1st. It feels great to be ahead of schedule. Deadlines, you know. They can be stressful for a newbie who just wants to make a good first impression. I’ve got to say, I adore Alex Logan. She has been so awesome. I still get giddy when I think about how lucky I am to work with her. Here is the Angie version of how she welcomed me to Grand Central. My hubby would probably tell it differently. I came from work, and my husband met me at the door with a really big box. I was thrilled because it was our fifteenth anniversary, and I kind of forgot. I mean, I knew it was that week. I just lost track of my days. And, I remembered later that morning (before he did) so, you know. I win. Anyway, I thought he trumped my remembering first with an anniversary gift. I was thrilled, at first. Then the guilt bomb exploded. I hadn’t gotten him a present since we don't usually do presents. And we weren’t celebrating until the weekend. I took the box from him with a sickly smile and a muttered, “Oh, honey. Thanks.” He laughed and pointed to the address. Okay, so it really was one of the best anniversary gifts ever (even if it wasn’t meant to be). I love to read and a box o’ books is my idea of heaven. It also became my reward for finishing BAD MOJO. Another reward is that I have a bunch of fun cover reveals scheduled. Also, if anyone is interested in writing a Sharing Our Voices Guest Post, please leave a comment. I would love to have you on the blog. How fun and exciting! Wait until the box is full of your book! 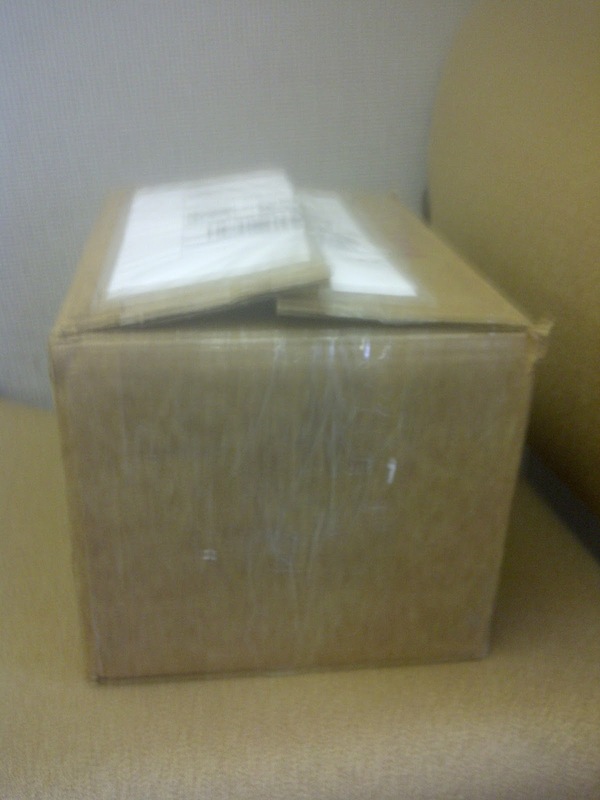 I'll probably do a lot of flailing about while hugging the box. How fun is that! 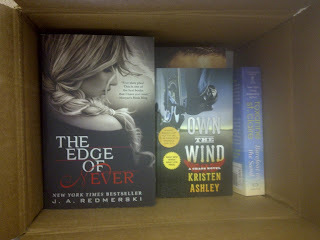 I love getting boxes of books! And like Michelle, wait until the box is YOUR books!!! !